Here at Ossett Tyre house we are proud to be a government approved MOT testing centre and have been providing MOT testing to motorists in the Ossett area for many years. 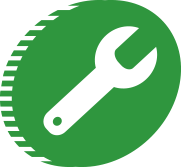 Our garage is fully equipped with the latest mechanical and electrical diagnostic machines in order to be able to give you the best service and advice possible. Our technicians are fully trained in the latest automotive techniques and are able to service all makes and models. Call us to find our latest special offers on MOT and Servicing packages. Vehicles over three years old are required by law to have an annual inspection and test to ensure that vehicles on the road are in a safe and mechanically sound condition. An MOT test check your vehicles roadworthiness by issuing a legal mot certificate by the Ministry of Transport in order to ensure safe traveling. All vehicles are classified in accordance with the Ministry of Transport guidelines. Full details can be found on the Government website www.gov.uk/getting-an-mot. 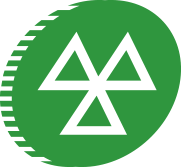 There are some exempt vehicles that do not require an MOT certificate. 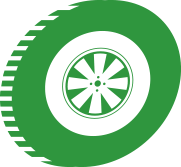 Farm tractors, electric powered vehicles. Cars and motorcycles manufactured before 1960 are all exempt. Lorries, buses and trailers all require an annual test due to the very high mileage these category of vehicles can be doing in a year. Our MOT centre will cover the following areas.